What a year in animation 2014 has been! If Big Hero 6 is the masterpiece it looks to be (currently 100% on Rotten Tomatoes!) than I wonder if this is the best year in animation since the renaissance? 2010 was a also great year too with Toy Story 3, Tangled, Secret World of Arriety, Megamind and the original How to Train Your Dragon. 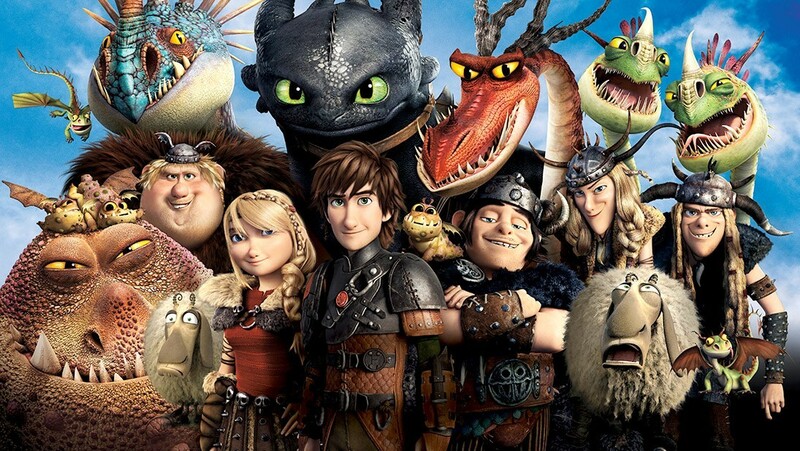 That film was a fun adventure about an underdog kid named Hiccup in a viking culture that thinks Dragons are an enemy. He befriends a hurt dragon named Toothless and realizes they are kindly, peaceful creatures. Unfortunately nobody including his father Stoick will believe him and they insist upon hunting down the nest of the dragons. 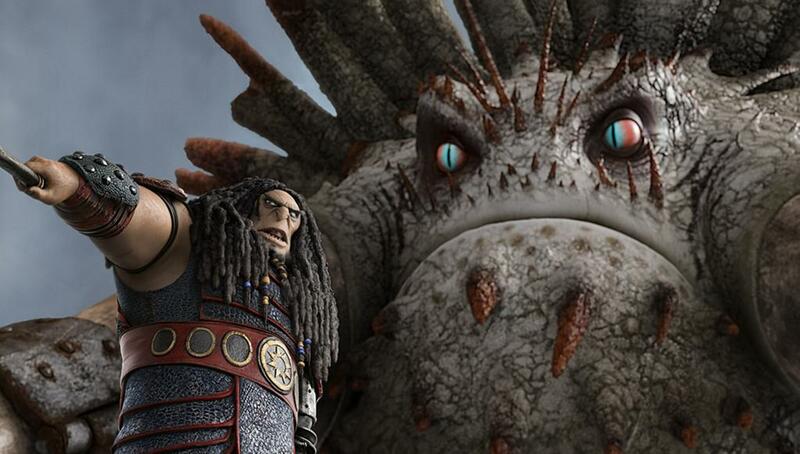 Eventually Hiccup helps the dragons prove their worth and they win over the town including Stoick. 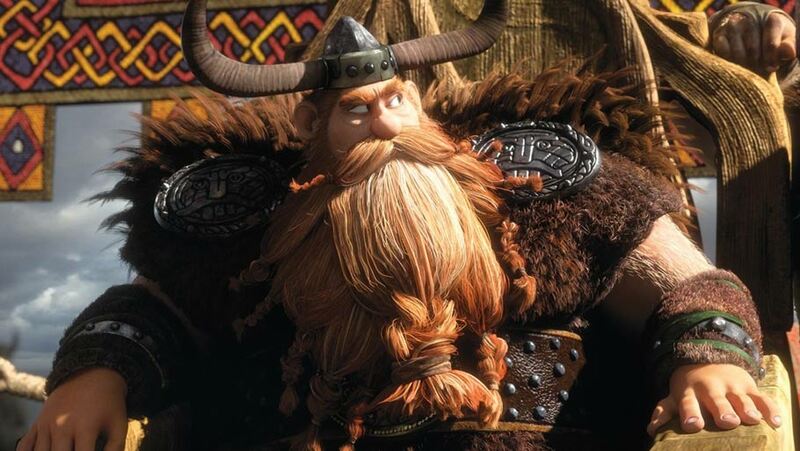 For this update Hiccup is now a young man and expected to follow his father Stoick as Chief of the town. His girlfriend Astrid is a winner in the dragon races. The plot gets going when an enemy named Drago threatens to conquer them and take all of their dragons. 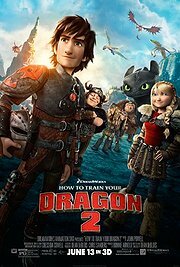 Hiccup wants to talk to Drago but his father says it is madness and they must prepare for war. It is a great very grown up discussion for kids about whether seeking peace is correct or appeasing your enemy. When do you fight for your family or seek peace at all costs? Dawn of the Planet of the Apes had a similar debate and I LOVED that movie. I don’t want to spoil it for any of you but this is an epic movie. If your kids are frustrated they can’t see Lord of the Rings or Harry Potter this is a perfect option for them. It feels like that kind of epic fantasy. As fun the first one is, this sequel is even better. It’s bolder, it says more and has a very meaty story. New characters are introduced including a special relation to Hiccup. And the villain Drago and his hypnotizing Beast called the Alpha are very effective. It does a good job of making things seem without hope for our heroes which is key to this type of movie. The animation is stunning. I still wish they wouldn’t make the dragons so separated from the styling of the rest of the film. All the fluorescent colors don’t seem to fit in well. 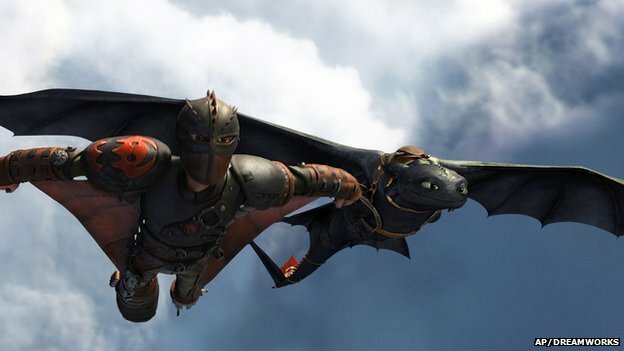 I love in animated movies when characters fly and in this movie Hiccup even does some base jumping! While I am still not in love wiht Jay Baruchel as Hiccup’s voice, he is fine. Gerard Butler, Craig Ferguson, America Ferrera and Jonah Hill all return and do a good job as their characters. Cate Blanchett and Djimon Hounsou are new to the cast and both good; although the inconsistencies on accents is a little annoying. Why does Hiccup and Astrid sound like Americans, Blanchett’s Valka sound British and the rest Scottish? But that’s a nitpick. It’s a good cast . The disappointed Dad storyline is a little tired but there is so much else going on I didn’t mind it. It might be a little complicated for some kids but there is enough excitement that I think they will still enjoy it. There are also some scenes of real heart and not to repeat myself it is an epic fantasy story! The score is phenomenal by John Powell who earned an Oscar nomination for the first movie and he should win another. It was so good in building tension and excitement without being overbearing. Evidently they used an array of Viking and Celtic instruments including harps, uileann pipes, tin whistles and bagpipes and you can hear it. It’s gorgeous. The official trailer gives away a big spoiler so I wouldn’t watch it if you care about spoilers. This one just shows the amazing flying sequences. Aside from a few squabbles it is a very strong film and should be a huge hit for all ages of kids and adults. I loved it! For very emotional kids there are a few moments of death and sadness and battle that gets intense. It’s also probably a little long for very small kids at 1 hr 41 minutes. 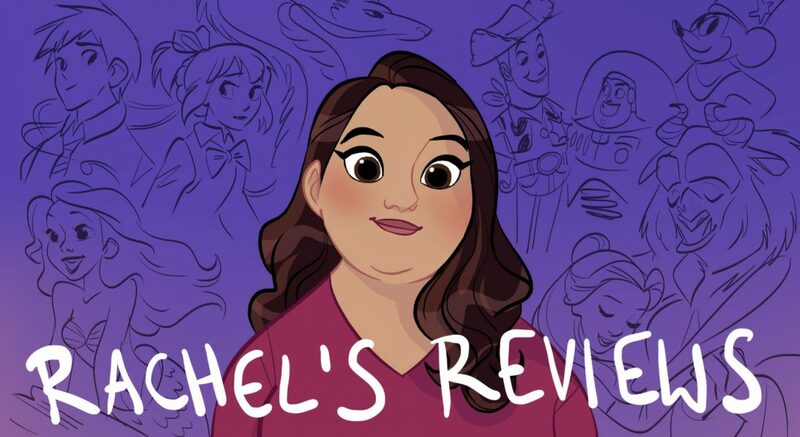 Pingback: Home: A Dreamworks Hit | Reviewing All 54 Disney Animated Films And More! Pingback: Kung Fu Panda 3 Details | Reviewing All 54 Disney Animated Films And More!